Today CGit AB and Berge Consulting AB have launched a strategic partnership within the field of Artificial Intelligence (AI). Together their expertise and knowledge in hardware, software, infrastructure and AI integration, creates an unique offer to customers. The partnership will be formally announced today during Berge and CGit's AI conference, in Lindholmen, Gothenburg. 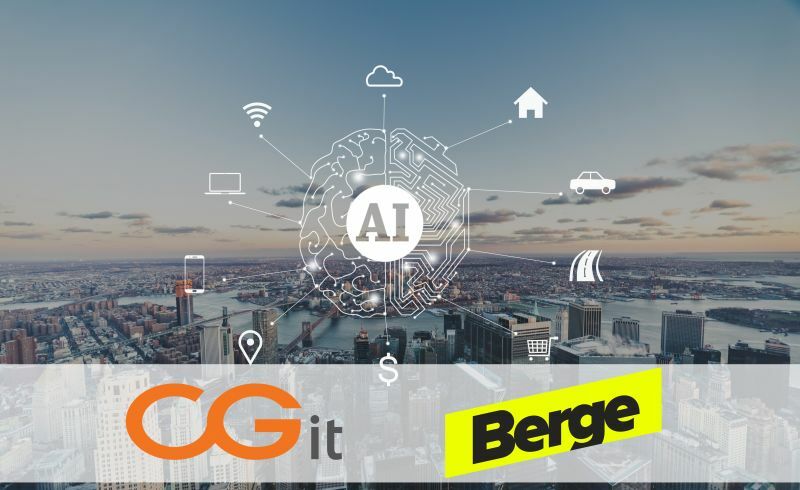 Today CGit AB and Berge Consulting AB will jointly hold their Artificial Intelligence (AI) conference. The conference is presented together with two of Berge and CGit collaboration partners, Nvidia and Purestorage. During the conference, CGit and Berge will announce their new partnership which represents a unique solution within AI in Sweden. The partnership creates an opportunity to keep the business together in a safer and more efficient way, both in time and cost. Customers also have the opportunity to test their product before they choose to buy or rent their own platforms for continued development. - We chose to enter this partnership with CGit because they complement our software with their hardware and share the same approach to new technologies as we do. We are both equally motivated in developing the business and together we want to create the future of AI solutions. Says Klas Moreau, CEO of Berge. CGit and Berge got to know each other when they both became Nvidia’s preferred suppliers within AI solutions. By supplementing each other's products and specialist knowledge in their respective domains, they are first in the Swedish market with this comprehensive partnership. - Entering this partnership with Berge is the perfect match for us at CGit. Our complementary knowledge in AI means that we together are able to simplify the complexity in an easy way. Says Mattias Bergkvist, CEO of CGit. CGit is a consultancy-driven company with cutting edge expertise and market-leading solutions in advanced IT infrastructure. With commitment, accessibility and flexibility, we help companies get the most out of their IT platform and create maximum business benefits at planned investments. Berge is a full service agency determined to make a difference. We invent and improve products and services in every aspect by sharing our knowledge, following our passion, and embracing the future. We are creative, audacious and passionate about what we do. CGit is now a provider of NVIDIA DLI Hands-On Training! We are happy to announce that CGit will, from now on, offer teacher-led workshops in collaboration with NVIDIA. These workshops consists of hands-on training as well as lectures delivered by DLI-certified instructors. CGit creates swedish AI infrastructure as a service! CGit will offer Sweden's most modern AI infrastructure as a service. The infrastructure is based on the very latest technology for development within AI and Deep Learning. For CGit, it is a natural next step after last year's great success in delivering turnkey infrastructure solutions to some of the most prestigious AI and Deep Learning projects in Sweden. CGit tar fram lösningar för dig som behöver hjälp med infrastruktur, drift, säkerhet, hosting eller konsulter som stöttar dig i din verksamhet..